ON A MISSION Mike Bailey, top, a county health worker, visited Anita Cade at work. Mr. Bailey believes that food is slowly killing his community here, and signing people up for a program to prevent heart disease is his way of saving souls. Local governments across the country are creating dozens of such experiments with money from the Obama administration’s Affordable Care Act. It is part of a broad national effort set in motion by the law to nudge a health care system geared toward responding to illness to one that tries to stop people from getting sick in the first place. To that end, the law created the $10 billion Prevention and Public Health Fund, the largest-ever federal investment in community prevention. Terri Long was one of the first to sign up for Mr. Bailey’s class. Supporters say the effort is long overdue in an age where preventable disease is the single largest cause of death. Indeed, unhealthy behaviors, like smoking and poor diet, account for 40 percent of premature deaths in the United States, while poor health care and limited access to the health care system accounted for a tenth of such deaths, according to an analysis of federal data and mortality studies by J. Michael McGinnis, a senior scholar at theInstitute of Medicine. But critics say efforts to influence behavior will have only a modest effect without policy measures like taxes on soda and restrictions on marketing to children to change the food environment. 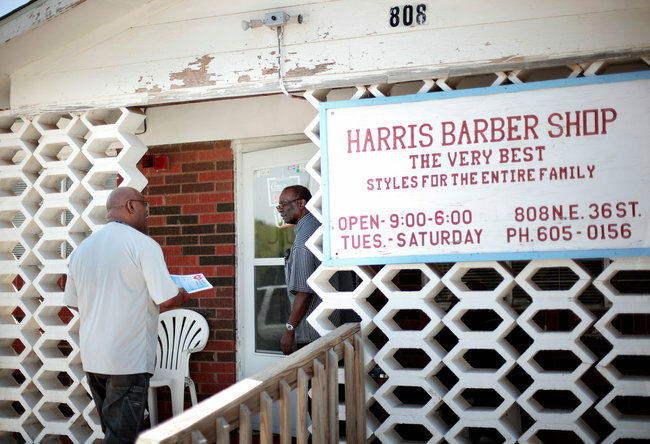 PERSISTENCE Mike Bailey visited James Harris at his barbershop in Oklahoma City. Mr. Bailey has persuaded residents to enroll in a heart disease prevention program. Oklahoma City, run by a Republican mayor, Mick Cornett, has with little notice won federal prevention money through the new law, a surprising source of financing in this deeply conservative Republican state. The governor, Mary Fallin, turned away $54 million in federal money to help prepare for the new law last year. Republicans in Congress derided the prevention program as “a slush fund to build sidewalks, jungle gyms and swing sets,” but Mr. Cornett has embraced its approach, turning this city — labeled one of the fattest in America in 2007 by Men’s Fitness magazine — into a laboratory for healthy living. In recent years, he has transformed it with bike lanes, walking paths and an Olympic rowing complex. He started a drive called “This City Is Going on a Diet.” He even accepted an invitation from Michelle Obama, who has made childhoodobesity her signature cause, to attend the 2010 State of the Union address. “We don’t believe in individual freedom to the extent of letting people make poor health decisions and just wither away without help,” Mr. Cornett said in an interview. Many scientists doubt such programs actually work. Only a handful of the dozens of published studies on obesity interventions have produced results, and only when participants were intensively engaged, said Tom Baranowski, a professor of pediatrics at Baylor College of Medicine. “Sending newsletters and calling is not enough,” he said. But some public health experts say that the kinds of things being tried under the law could help bring a cultural shift. The single biggest behavioral success of the last century — the dramatic reduction in the share of Americans who smoke — took 50 years of education, regulation and medical intervention. Likewise, only a mixture of approaches has a chance of eventually reducing rates of obesity, these experts say. “Over time all of this effort builds up so people come to think about the problem and their own behavior in a different way,” said Bruce Link, a professor of epidemiology and sociology at the Mailman School of Public Health at Columbia University. In Oklahoma City, county officials have focused on the least healthy ZIP code — 73111 — a sun-seared stretch of one-story bungalows, fast food restaurants and minimarts. Heart disease mortality rates are 10 times as high as in the healthiest neighborhood, which is next to one of the biggest medical complexes in the state, including a teaching hospital with a large share of charity care. In addition to the heart program, which offers free medicine and checkups in exchange for taking a health class, the area is getting a new health complex with sports fields and walking trails, and a physical education coordinator for city schools. Public messages against sugary drinks are plastered on buses and benches. Health workers will identify the area’s highest-risk patients, connect them with doctors, and follow up with them after checkups, a measure Gary Cox, director of the county health department, said was designed to reduce emergency room visits. Thousands of fliers for the heart program were mailed out last year, but there were few takers until Mr. Bailey, the health department worker, began persuading people to sign up in the spring. 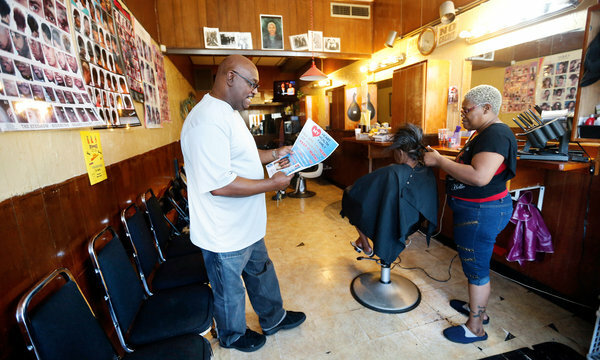 The area is nearly 90 percent black, with a history of racial tensions, and people are suspicious of government programs targeting them. 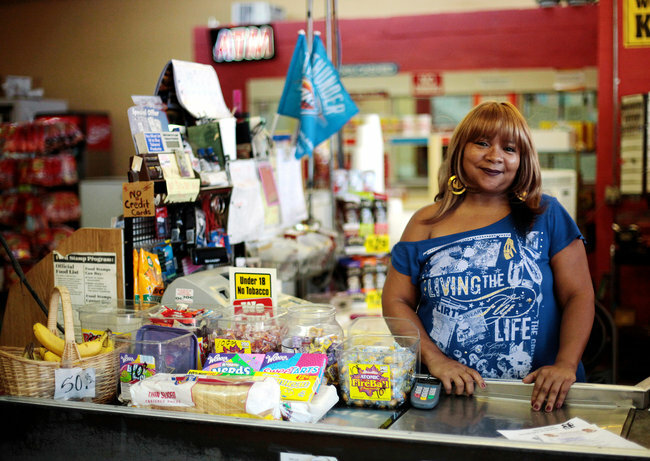 Terri Long, 51, a cashier at a grocery store, was among Mr. Bailey’s first takers. Withouthealth insurance, she had no way of paying for doctor visits or medicine, and was grateful for the program. She had bypass surgery this winter and realized that unless she changed her habits, she might not live to see the last of her nine grandchildren “walk across the stage.” She says she lost 15 pounds by cutting out her favorite foods: chocolate doughnuts and pork rinds. But she doesn’t know anyone else who has signed up. “They say, ‘When my time is up, it’s up,’ ” she said as she scanned soda and snacks at the checkout. Mr. Bailey argues that poverty is a big barrier to prevention. Hand-to-mouth living and the short-term thinking that often goes with it means many people are shopping at gas station minimarts where junk food is the staple. Exhausted mothers may let their children fend for themselves in such stores with food stamp swipe cards. “If you ask, ‘What would help your health the most?,’ people say, ‘More money,’ ” Mr. Bailey said. Brandi Jones, the manager at A Family Affair, a soul food restaurant, disagreed. Mr. Bailey believes he can help people do just that. He has lost 15 pounds himself since starting his current job. A recent health class he led was part group therapy, part nutrition lesson. One participant, Tricia Woodward, 65, in a bright yellow dress, said she had given up beef and pork, but conceded that “chicken is holding on hard.” Kim Golson, 44, a driver for the post office who recently lost his left leg to diabetes, held himself up as a warning to the other overweight men. “What you see here is what you’re heading toward,” he said, pointing at his leg, fitted with a prosthetic. Gwendolyn Wallace, a retiree who lost 12 pounds since the class, said she had been helped by a new walking trail near her house that she still had mostly to herself.